After returning to Taiwan, Nathalie also blogged on our website about her feelings upon leaving Leeds and the UK. 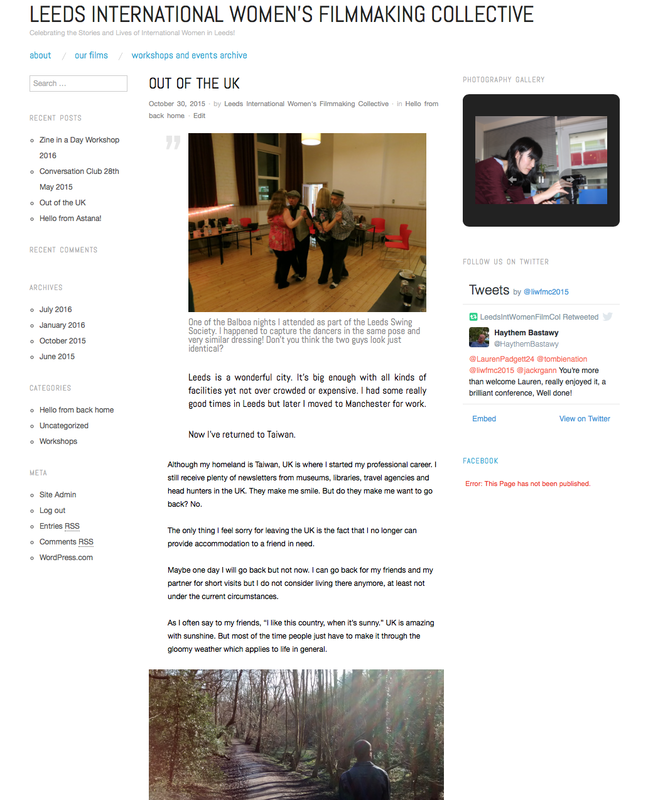 We featured text from her blog within the closing sequences of the short film "Out of the UK", which takes its title from the blog. Screen shot of Natalie's blog post for the Leeds International Women's Filmmaking Collective. Showing the work in progress layout of our interactive documentary and the areas we are exploring through it. This short film to be added to the archive section in our interactive documentary alongside the other shorts we have made collectively.